Google has ended sales of the HTC-made Nexus 9 tablet a year and a half after its launch, making the Pixel C the only tablet available from the Google Store ahead of the launch of new Nexus devices later this year. The Nexus 9 was plagued with build quality issues right from the outset, with many reviewers and owners pointing out problems with its physical buttons, squishy body, and backlight bleeding display. The tablet was quickly put on sale by HTC, slashing the price down to $200 after initially retailing for $400. 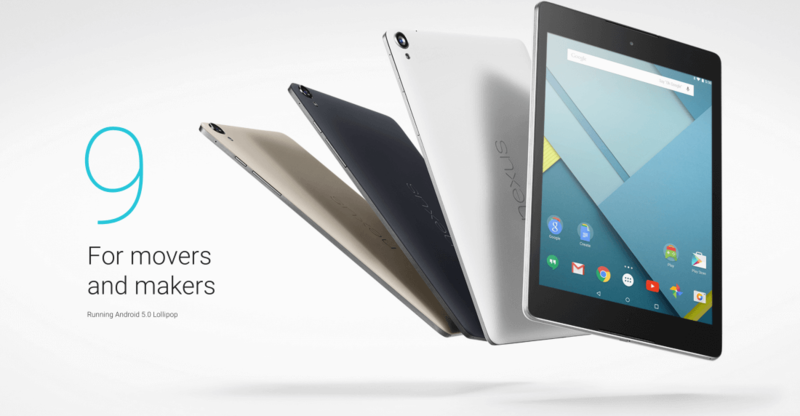 The actual hardware in the Nexus 9 was quite respectable. It featured a powerful Nvidia Tegra K1 SoC, and its 8.9-inch 2048 x 1536 IPS display was both high resolution and a great aspect ratio for consuming content. However Google was slow to update the tablet to newer versions of Android, which was unusual for a Nexus-branded device. Despite decent specifications and a price tag that was often well under its launch price, the Nexus 9 was not a very successful product for Google, and the Pixel C is a much better option for those wanting a stock Android tablet. That's not to say the Pixel C is a perfect device, but at least you can now run apps side by side with the latest Android N developer preview. For those who did buy a Nexus 9, Google and HTC will continue to support it, like with most other Nexus devices, for a limited time.